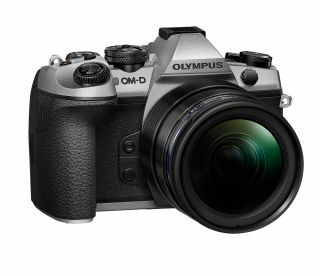 While the reveal of the Olympus OM-D E-M1X was the company’s biggest news, Olympus reminded us that this year marks its 100th anniversary – and, to celebrate, it is releasing a limited edition silver version of the Olympus OM-D E-M1 Mark II. The silver edition of the E-M1 Mark II – strictly limited to 2,000 units worldwide, and available in late February for £1,499.99 / $1699.99 – is Olympus’ way of commemorating both milestones. Like previous OM-D limited editions, such as the titanium E-M5 Mark II, the silver E-M1 Mark II shares the same specs and features as the original black version. So you can expect the same blistering 60fps burst shooting, 5-axis IBIS providing up to 6.5 stops of stabilisation, and a body with industry-leading weather proofing. “We are sincerely grateful to all customers and other stakeholders who have supported Olympus since its founding 100 years ago,” said Olympus’ President Hiroyuki Sasa. Olympus' 100th anniversary: know any 100-year-olds who want their picture taken?